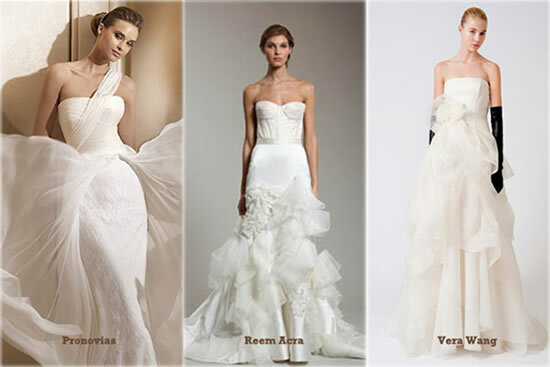 Thanks to some of the greatest fashion designers, the most current trends in wedding dresses are here. If you’re looking for a wedding dress that is inspired by the newest trends, than this is the place to get acquainted with the suggestions of some of the most popular wedding dress designers and labels. If you like a classic look but with a modern touch, this trend is perfect for you. 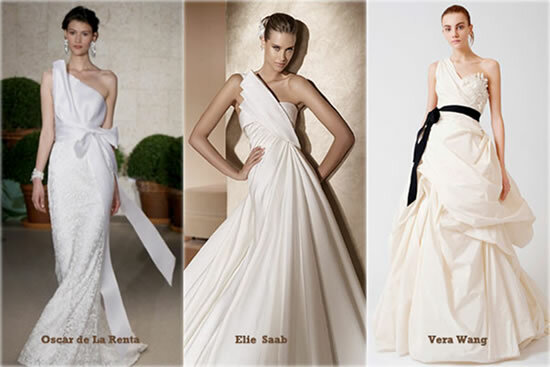 In the current wedding dress collections, asymmetrical dresses are a big trend. Whether they have a fuller circle or are more sculpted, this is the type of dress that highlights any bride’s look. In this case, the originality of a classic and asymmetrical dress speaks for itself and doesn’t require many complimentary accessories. Romantic ballroom style wedding dresses are timeless and they keep coming back with additional trends, some more impactful than others. 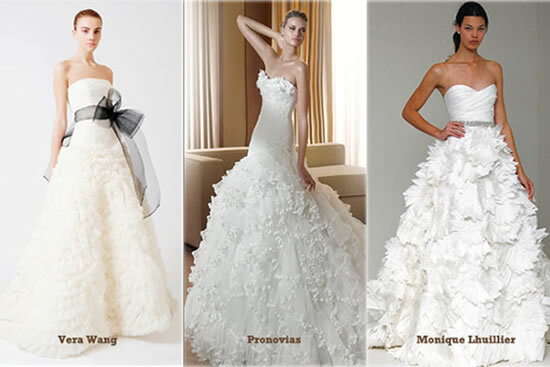 This year they couldn’t be more beautiful, with sculptured ruffles that will make any bride lose her mind! If you dream of being a romantic bride, but want to make a statement with your look, this trend may just be calling your name. If you see yourself as a more urban bride and aren’t afraid to steer away from a traditional wedding dress, there were also many elegant options on the runway. This season, many designers decided to incorporate short wedding dresses in their collections, transforming this style into a trend that many brides will surely appreciate. If you dream about a wedding dress that inspires a light and airy feeling, than you’re in luck because this season many wedding dresses incorporate this feature. Starting with more classical silhouettes and moving on to more daring designs, the use of very light fabrics, such as organza, is definitely a trend. Because of the transparency of the materials used, these dresses seem to float down the runway… and the aisle.